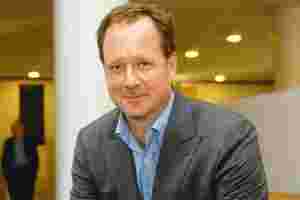 Mumbai: Jonathan Nelson has been chief executive officer of Omnicom Digital, a unit of the $12.5 billion global marketing communications conglomerate Omnicon Group Inc., for the past three years. Nelson has founded, or played a critical role in building, a number of organizations, including Accrue, a Web measurement and analytics company, and Organic, which developed the Apache server. What’s your digital strategy in India, especially after acquiring a stake in Mudra Group? Omnicom has a three-stage strategy for building our digital offering across India. First is to drive digital into every corner of our business. We don’t see digital as a separate communications channel. I believe that in the next four-five years, no one will be talking about “digital" technology, just as no one talks about “the digital iPhone" or the “digital notebook computer" today. Second, we make sure all our talent, across all of our agencies, is digital capable. We run many educational programmes, such as “Emerge", held in New York a few weeks ago, or “Digital: Works", held in India and Shanghai in October. We also have a distance learning programme aimed at educating people about emerging technologies. Third, digital technology rests on a platform that generates efficiencies and economies of scale. To create that platform, we rely on technology partners from inside and outside of the Omnicom universe. Jonathan Nelson talks about how he believes Indian companies are awakening to the potential in digital marketing. Are you planning any more acquisitions in India? We don’t comment on our acquisition efforts. How do digital ad spends in India compare with that in the West, especially the US? Digital marketing spending, in general, is lower in India. Comparing the total online ad spend per user in the US and India, about $140 is spent per Internet user on digital advertising in the US, while in India, that number is roughly $2.18 per Internet user. There are a number of factors behind these differences, not the least of which is the overall penetration of the Internet in the two markets. In the US, you can use the Internet to reach over 74% of the population, while in India it reaches under 7%. The popularity of social networking sites such as Facebook, Twitter and now Google+ is catching brands on the wrong foot at times. How are they coping? Brands are starting to understand that social media is more than just a part of their communications strategy, and touches their external relations, customer service and even product development efforts. Many brands now understand not just how social media impacts what they do online, but how they are organized internally to do it. Those types of changes take time. Please share your perspective on mobile advertising and m-commerce. Will these pick up with 3G and 4G? Faster connection speeds will help, but getting more capable phones deeper into populations will be the biggest boon to m-commerce and mobile advertising. Increasingly, affordable data plans will also be a significant contributor. In a market like India, technology such as NFC (near field communications), if it is affordable and available across multiple price points and the payment ecosystem is put in place, will have a major impact. I understand that a recent Bollywood film marketed content using NFC and this is a good starting point. What about the opportunity to advertise within mobile apps, given their popularity? Mobile apps are great, but it is important to view them in the broader marketing ecosystem. How are you going to make people aware of them and download them, how is the app going to deliver ongoing value to people, and how does the app, ultimately, contribute to your marketing and business objectives. What are the challenges you face when devising digital strategies for your clients? One of the biggest challenges is to gauge how fast technology changes, and try to understand where it moves so that one can nurture talent that can work with new technologies and deliver results.